12-Pk. 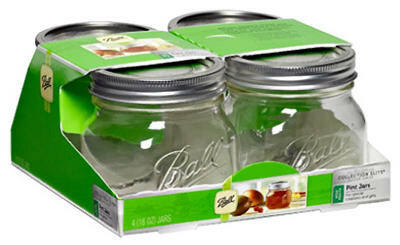 Pint-Size wide-mouth Mason jars with closures lock in freshness so you can enjoy your bounty year-round! Not sure how to can? Don't worry. You'll find step-by-step instructions on the bottom of package. Can be placed in the freezer.